Trucks are macho, always have been. But as our society becomes more confrontational and in-your-face attitudes more commonplace it’s only natural truck styling sheet metal follows suit. 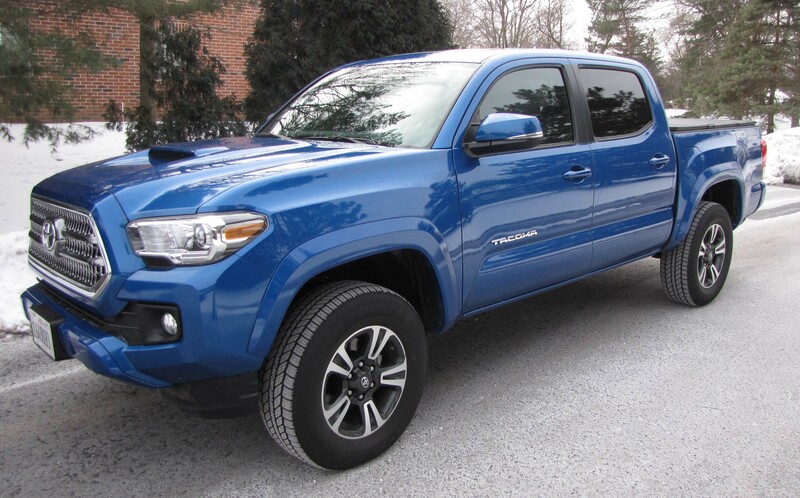 Today’s Toyota Tacoma will go toe-to-toe with any pickup in the attitudinal Olympics. Its fenders bulge like a body builder’s abs and its hood bulges like pecs gone wild. Muscular doesn’t begin to describe it. That’s to be expected from the new, restyled 2016 Tacoma, the leading mid-size pickup in the U.S. market, the pickup that has been kicking sand in the faces of its competition for years. Market reports say Tacoma owns more than half of the truck sales in its segment. And now, as if it weren’t already dominant enough, Tacoma is marking its territory with increased horsepower, better gas mileage and a quieter interior. Take that Nissan Frontier, Chevy Colorado and GMC Canyon. Never mind that a few of those will tow more or still get better gas mileage, Tacoma is ready to rumble. Let’s start with power, as that’s what most pickup owners are looking for, whether to tow, haul or simply impress their buddies and significant others. Tundra is a big moose of a truck. Toyota needn’t worry about folks pooh-poohing their full-size (and then some) Tundra pickup as not manly enough, or strong enough to take on the Big 3’s big boys. Heck, the tested metallic black Tundra CrewMax Limited 4X4 is nothing if not big. First, it’s U.S.-built in San Antonio, Texas, a state that’s the prototype for big, including attitudes. The new 2014 Tundra appears to be trying to out-RAM the Chrysler Corp,’s massive RAM pickup, and it easily outsizes the popular Chevrolet Silverado I tested a month or so ago. The CrewMax Limited’s engine is Toyota’s 5.7-liter I-Force Flex Fuel direct-injected V8 that creates 381 horsepower. That’s 26 more ponies than the Silverado’s plenty strong 5.3-liter V8. 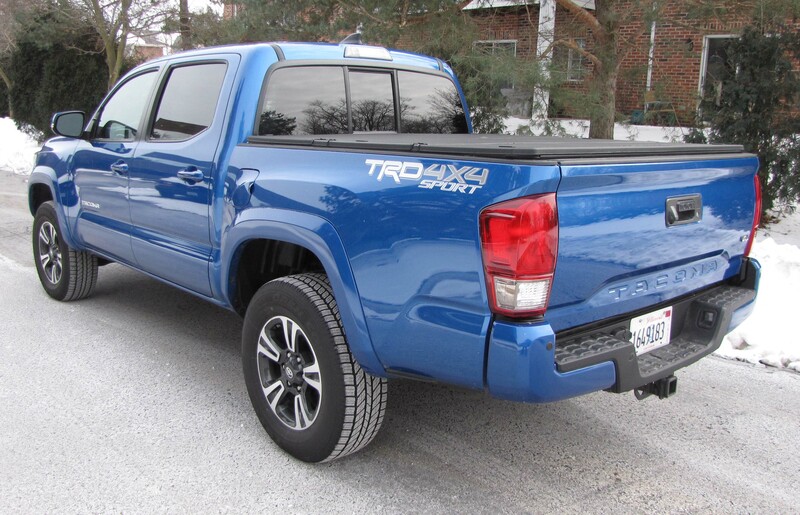 Torque rating here is 401 and Tundra uses a 6-speed automatic to put that power in action. But the 5-passenger Tundra CrewMax is a behemoth, a heavyweight in every sense. It needs that horsier engine to tote around its 5,850 lbs. That’s about 900 lbs. more than the Silverado Crew Cab I tested, although it was only 2-wheel drive. Not sure what end-of-the-world scenario Toyota is building this to endure, but that’s a lot of girth that helps explain my gas consumption for the week.